Up in Siem Reap tonight, Tuesday 29 at 7.30 pm, the return of Spoken Arts, an open mic night focusing on poetry and prose, but open to inspiration of all kinds. New venue: Tim’s Greasy Spoon, on Soksan Road, next to Reggae Bar. On Wednesday 30, 7 pm at Meta House, a screening of the documentary Cyclo Diaries (2011, 54 min), “a humorous and irreverent documentary about a month-long journey by cyclo from Hanoi to Ho Chi Minh City by two Australians”. Co-director Marty Sharples will hold a Q&A following the screening. On Friday 2, from 6.30 pm, Bophana Center hosts the official opening of an exhibition of photographs and archival materials by Prum Ero, Phnom Penh’s Corner Architecture, focusing on areas around the city’s markets – Psar Thmei, Psar Kandal, Psar Chas, Psar Olympic and Psar Orussey – and the adaptions made by successive waves of architectural styles. Runs to 30 October. For those with an interest in creativity, thought and ideas, Dipika Kohli plans to hold a conversation – in which nobody is wrong and nothing can be confirmed, only asserted with whatever style one can muster – about time, at a time and place to be mutually agreed upon by participants. The window to put your hand up is open until October 10. Tuesday 29 at 7.30 pm, at Tim’s Greasy Spoon, Siem Reap, the return of Spoken Arts, an open mic night focusing on poetry and prose. Wednesday 30 at 7 pm at Meta House, a screening of the documentary Cyclo Diaries. Co-director Marty Sharples will hold a Q&A following the screening. Friday 2, from 6.30 pm, Bophana Center hosts the official opening of an exhibition of photographs and archival materials by Prum Ero, Phnom Penh’s Corner Architecture, focusing on areas around the city’s markets. Runs to 30 October. Java Café Independence Monument presents In the City by Night, an exhibition of photographs by Sovan Philong. On Friday 25 at 6 pm, Bophana Center presents the Filmmakers Without Borders Student Film Festival, featuring eight short films representing a range of styles, made by grade 7 to 10 students as part of a Children for Change project by FWB and Jake Wachtel. A Q&A will be held following the screening. Opening on Saturday 26 at The Insider Gallery at the InterContinental Phnom Penh is Inside/Out, a group show featuring the work of eight artists: Chhan Dina, Chhim Sothy, Frederikke Tu, Bernadette Vincent, Anna Sudra, Marcel Wanders, Christopher Bryce Morris and Ouk Chim Vichet, each tackling the theme in their own style. The resulting works range from explorations of landmines to domestic violence, spiritual heritage and body image. The show runs until October 26; the gallery is open Monday to Saturday 10 am – 6 pm and by appointment. On Saturday 26 at 2 pm Bophana Center’s Cine Club presents a screening of Michelangelo Antonioni’s Blow Up, introduced by a lover of Italian cinema, Daniel Mattes. Also on Saturday 26, at 6 pm, SaSaBassac presents a new solo exhibition by sculptor and installation artist Svay Sareth, entitled I, Svay Sareth, eat rubber sandals. The exhibition runs until 28 November. On Sunday 27, from 2.30 pm, Khmer Architecture Tours presents a three hour tour of selected works by 1960s Cambodian architect Vann Molyvann. Reservations required, email contact@ka-tours.org. Music educator, ethnomusicologist and percussionist and presenter Andy Gleadhill will offer a day-long training seminar on world music and composition at Logos International School on Sunday, November 15. Sessions will include lots of interactive and hands-on learning. Find more information along with registration and payment details here:. Andy is also available the following week for full or half-day workshops with students at schools in the area. Friday 25 at 6 pm, Bophana Center presents the Filmmakers Without Borders Student Film Festival, featuring eight short films representing a range of styles, made by grade 7 to 10 students. A Q&A will be held following the screening. Saturday 26 at The Insider Gallery at the InterContinental Phnom Penh opens Inside/Out, a group show featuring the work of eight artists: Chhan Dina, Chhim Sothy, Frederikke Tu, Bernadette Vincent, Anna Sudra, Marcel Wanders, Christopher Bryce Morris and Ouk Chim Vichet, each tackling the theme in their own style. Gallery is open Monday to Saturday 10 am – 6 pm and by appointment. Saturday 26 at 2 pm Bophana Center’s Cine Club presents a screening of Michelangelo Antonioni’s Blow Up, introduced by a lover of Italian cinema, Daniel Mattes. Saturday 26, at 6 pm, SaSaBassac presents a new solo exhibition by sculptor and installation artist Svay Sareth, entitled I, Svay Sareth, eat rubber sandals. Sunday 27, from 2.30 pm, Khmer Architecture Tours presents a three hour tour of selected 1960s era works by Cambodian architect Vann Molyvann. Reservations required, email contact@ka-tours.org. At Samai Distillery on Thursday 17 from 6 pm, the opening of an exhibition of paintings and sculptures by Thai artist Chanachai Tongloon (Yao), For the love of human figures. Samai is located at #9B, St 830 (off Sothearos Blv near the Russian Embassy). The Piano Shop/ArtPlus Foundation’s 2015 concert series continues at Meta House on Sunday 20 with Esterhazy Divertimento. Trio Melange (Ashley Pensinger, violin; Tara Mar, violoncello; Anton Isselhardt, flute) perform works by Haydn, Pergolesi and Boccherini. Tickets $10/$3, 8 pm start. Contact 077787038 / 016 985828 or by email: artplusfundation@gmail.com. Thursday 17 from 6 pm, the opening of an exhibition of paintings and sculptures by Thai artist Chanachai Tongloon (Yao), For the love of human figures. Thursday 17 at 6 pm at the French Institute the opening of Carte Blanche to Rithy Panh with the presentation of La France est notre Patrie. A Q&A and cocktail reception will follow. Screenings continuing through to Sunday 20 at Bophana Center and the French Institute – seven films The Missing Picture. Sunday 20 at 8 pm Meta House presents Esterhazy Divertimento. Trio Melange (Ashley Pensinger, violin; Tara Mar, violoncello; Anton Isselhardt, flute) perform works by Haydn, Pergolesi and Boccherini. Contact 077787038 / 016 985828 or by email: artplusfundation@gmail.com. Tonight, Tuesday 1, at 7.30 pm and 9 pm, Sundance Riverside (79 Sisowath Quay), presents premiere screenings of a new short film, Quicksand, produced by students of the multimedia course at the Limkokwing University Cambodia as their final year project. 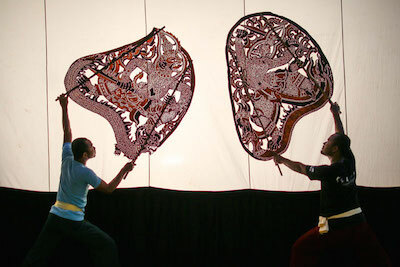 On Wednesday 2 from 6 pm, The Lotus Pond Art Gallery at The Plantation hosts the Kok Thlok Ensemble’s exhibition Lights & Shadows, a display of 40 sbek thom (giant shadow puppets), constructed to present excerpts from the traditional Reamker, the Cambodian version of the Indian epic Ramayana. The evening will include a 25 minute performance with the puppets, from 7.30 pm. On Thursday 3 from 6.30 pm, the French Institute presents The Mysterious Art of the Portrait, the culmination of a series of photographic workshops conducted by French photographer William Ropp with students from Studio Images, the Institute’s photography arm, at Phnom Penh and Siem Reap airports. Featured photographers include Cheng Maly, Chhoeng Mola, Hourt Vuthy, Khiev Kanel, Keo Sangva, Ou Vunnarun, Sarun Dina, Soun Sayon, Thorng Vuthy, and Ung Ratha. 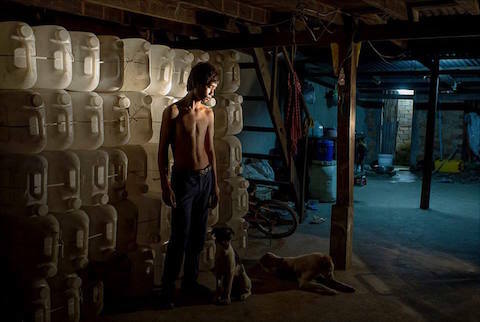 Also on Thursday 3, Meta House hosts a Cambodian filmmaker night with Davy Chou, who will screening his short film Cambodia 2099 (2014) as well as the 2011 documentary Golden Slumbers, resurrecting the heyday of Cambodian cinema in the 60s and 70s. From 7 pm. On Friday 4 at Bophana Center, from 6 pm, a cocktail reception for their on-going exhibition Crossed Views on Cambodia, a collaborative exhibition featuring works of Ricardo Casal and recent Royal University of Fine Arts graduates Im Pesey, Sou Kimsan, Thun Dina, Nhem Sopheap, Seng Visal, Tep Chanty and Tola Morm. The show continues until September 27. SaSaBassac’s Vann Molyvann Project Summer School 2015 concludes on Saturday 5 with a reception from 5 pm to 8 pm, with presentations to mark the closing of the research and work of architects, students and others over the last three months. Also on Saturday 5, Meta House presents a special pre-screening of Gilles Sainsily’s Enchanted by Cambodia, a documentary built on aerial footage of the Kingdom. There will be a Q&A with the director after the screening. On Sunday 6 at 7 pm, Drink and Draw returns to Show Box – $3 entry gives you two hours with a life model, BYO materials as the spirit moves you. Note that as of yesterday, the long running LadyPenh.com guide has relaunched itself as PhnomPenhWeek – listing a broad swathe of Phnom Penh activities, from comedy to yoga to popcorn to restaurants. Tuesday 1, at 7.30 pm and 9 pm, Sundance Riverside (79 Sisowath Quay), premiere screenings of a new short film, Quicksand, produced by students of Limkokwing University Cambodia. Wednesday 2 from 6 pm, The Lotus Pond Art Gallery at The Plantation hosts the Kok Thlok Ensemble’s exhibition Lights & Shadows, with a 25 minute puppetry performance from 7.30 pm. Thursday 3 from 6.30 pm, the French Institute presents The Mysterious Art of the Portrait, the culmination of a series of photographic workshops conducted by French photographer William Ropp with students from Studio Images, the Institute’s photography arm. Thursday 3 from 7 pm, Meta House hosts a Cambodian filmmaker night with Davy Chou, screening Cambodia 2099 and Golden Slumbers. Friday 4, 6 pm at Bophana Center, a cocktail reception for the on-going exhibition Crossed Views on Cambodia, a collaborative exhibition featuring works of Ricardo Casal and recent Royal University of Fine Arts graduates. Saturday 5, 5 pm – 8 pm, SaSaBassac’s Vann Molyvann Project Summer School 2015 concludes with a reception and presentations. Saturday 5 at 7 pm, Meta House presents Gilles Sainsily’s Enchanted by Cambodia, a documentary built on aerial footage of the Kingdom, with Q&A. Sunday 6 at 7 pm, Drink and Draw at Show Box – $3 entry for two hours, BYO materials.